Ever heard the saying, “You draw the ones you love”? If you haven’t, whelp, that’s because I just made it up. Ha-ha! But on a more serious note, I think you can agree with me on this; whatever inspires you ends up becoming your muse. And what beautiful creation in this crazy world could inspire people other than food, in its many forms? 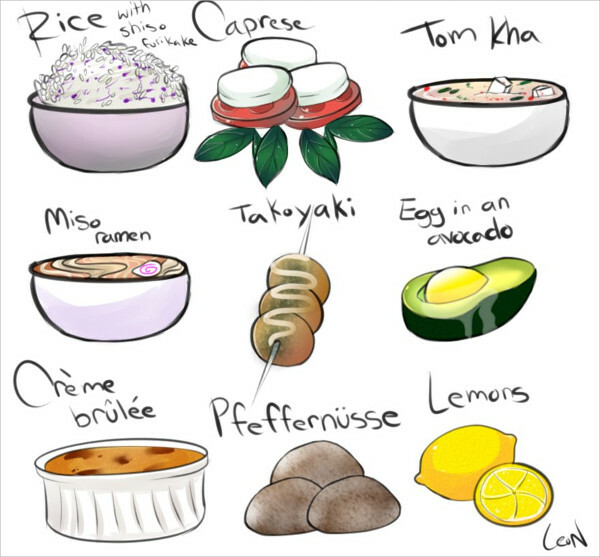 In this collection of cool food drawings, you can see exactly how food inspires and how many have been inspired by it. The images here are of such great quality that they can practically rival these 3D Pencil Drawings. There’s a wide range of designs here as well, and they are available for download in a JPG format. 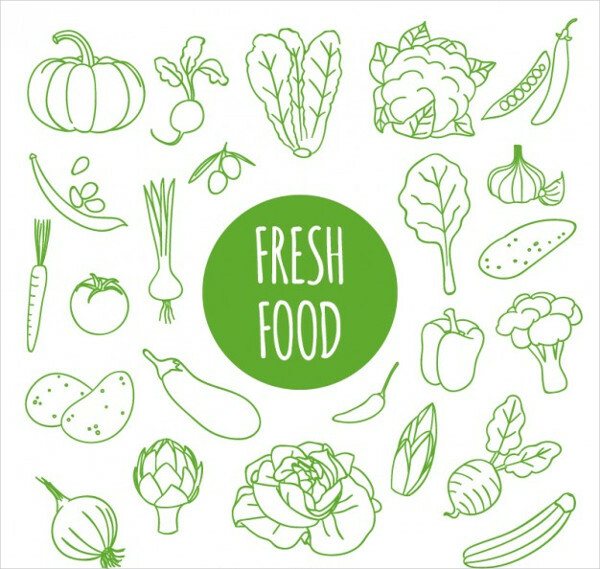 Food in general used to be just a means to give our body the nourishment and nutrition it needs. But when more and more culinary masterpieces surfaced and when the concept and products of fine dining and culinary arts emerged, people just couldn’t get enough. 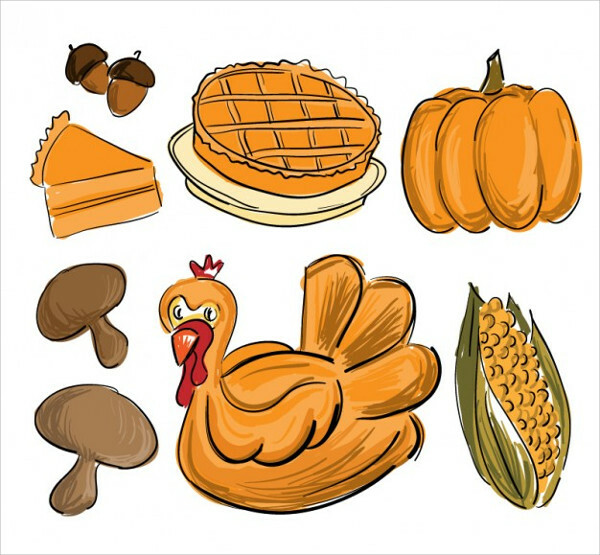 Everyone soon realized that preparing and partaking can be immensely enjoyable. Because of the universal love of food, it has made its way into incredible photos (known today as foodporn) and, as you can see in this collection, Pencil Drawings. Though not quite as wide an array as food in general, the designs here still vary and offer quite a range. 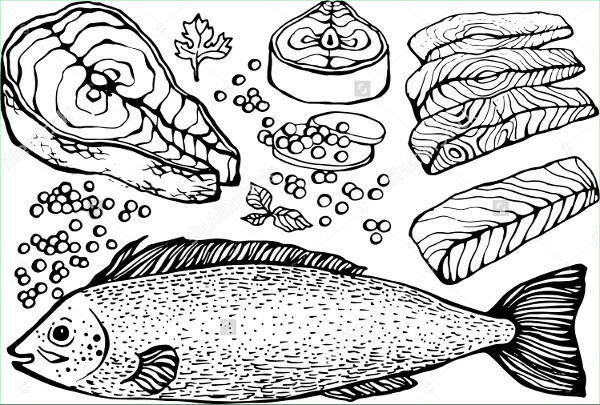 Given the amount of detail poured into the illustration, “Black and White Food Drawing” may very well be considered realistic. 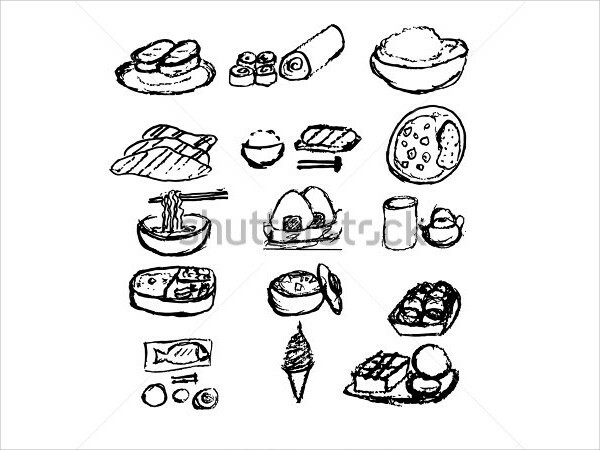 Also check out the rough sketch style in “Japanese Food Drawing,” which comes in a close second. Who says you have to stick to basic black for your sketches? 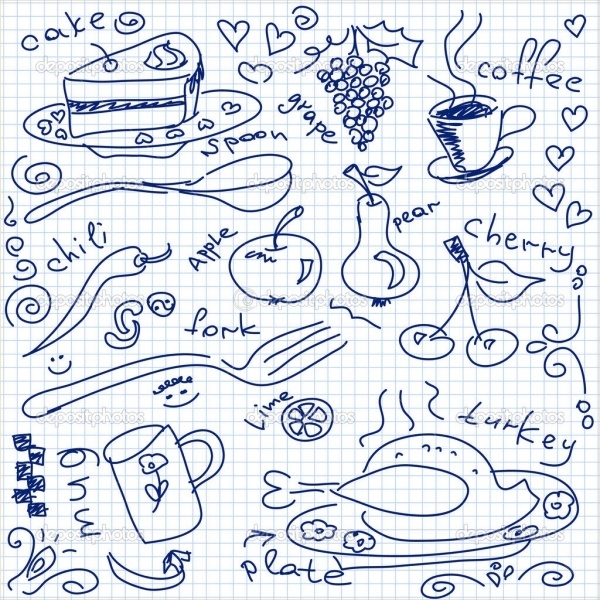 “Simple Food Drawing” and “Fresh Food Drawing” prove that you can do just as well with an unconventional color for the outline. 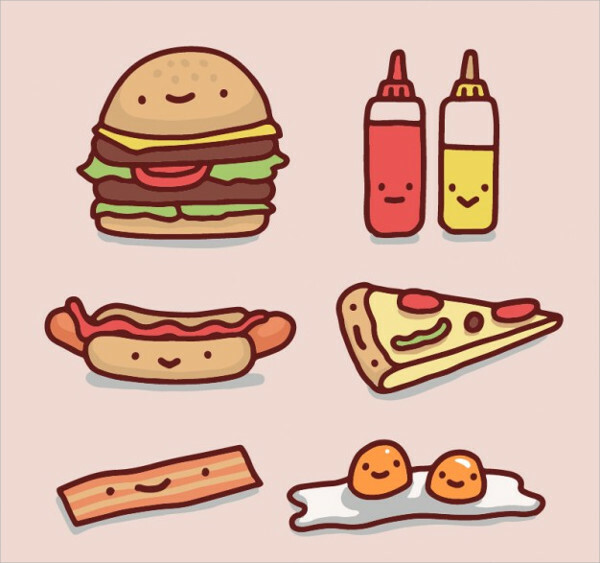 Just when you think that food couldn’t get any more lovable, the artists of “Funny Arabic Food Drawing” and “Fast Food Drawing” give the subject matter an adorable spin with cutesy, emoji-like expressions. Imagine your kitchen wall or refrigerator door or classroom bulletin board decked out with something like “Favourite Food Drawing” or the simpler “Fresh Food Drawing.” That little homey touch gives your space more personality. 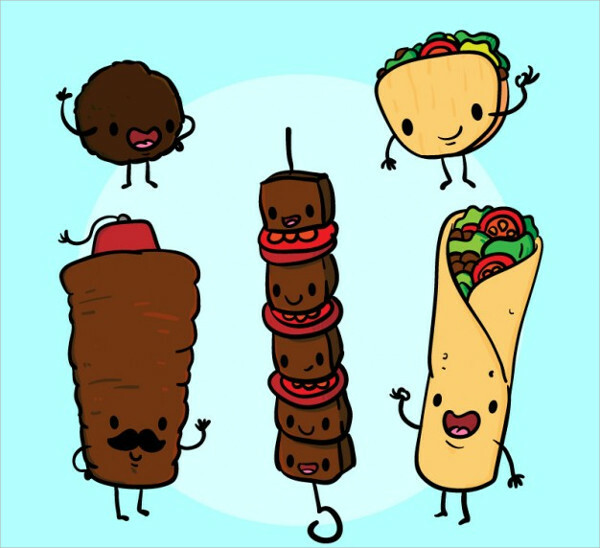 If you have a school paper to write about, say, the importance of a well-balanced diet or if you have to hand in a scrapbook of the different food groups for health class, you can definitely use any of these pictures and get an A to boot! 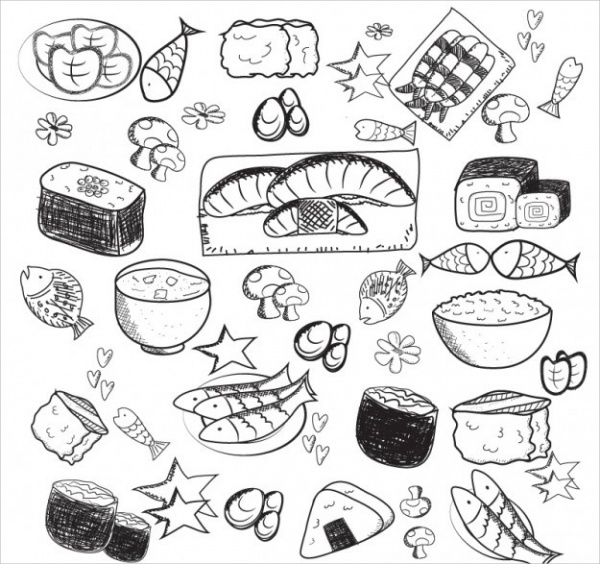 Just download and print out a copy of “Asian Food Drawing” and “Black and White Food Drawing,” and then bring out your Crayola set!